SA Where do you currently live, and why? NS I live about 45min east of San Francisco in the suburbs, Concord, CA. I grew up in the SF Bay Area and never left. I love the ocean, trees and the woods. SA What or who inspired you to ride a motorcycle? 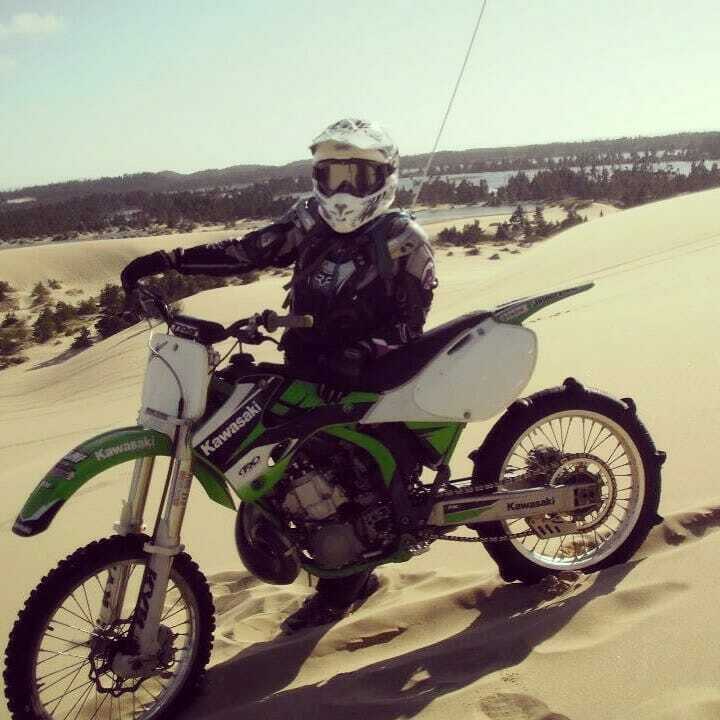 NS My dad got me into riding when my brother wanted to ride and then stopped. I was interested in muscle cars and off-road trucks in high school. I grew up sailing; small boats and larger boats. I have always been in male dominated sports. 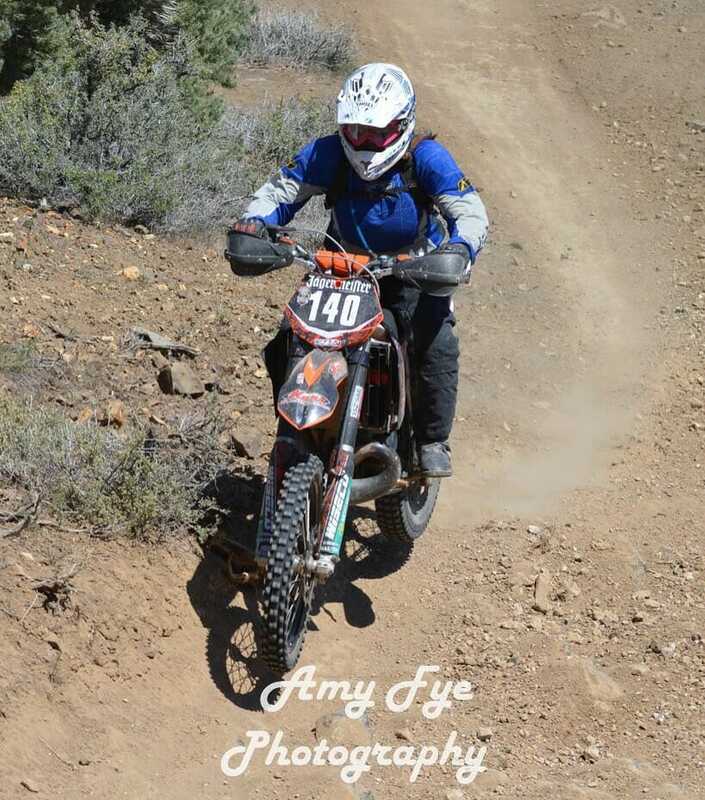 After getting on a dirt bike I knew I found my passion. I love sailing but riding a motorcycle is where I belong. SA What bike(s) do you own? NS I have many bikes, I would own more if I could; 2009 KTM 300XC, 2016 Husqvarna FE501, 2008 Triumph Tiger 1050, 1973 Honda ST90, 2001 KX250. SA Are you a part of a women’s riding group? If so, which one(s)? NS I am not part of a many group. I have friends, male and some female who ride and I always give props to groups especially all women. I did just go to Babes Ride Out 4. It was huge and a lot of fun. SA Where is your favorite ride and why? NS My favorite street ride is highway 128 from wine country to the coast on highway 101. It goes from rolling hills to Redwoods. I like how clean the road is, and how there are no unexpected sharp turns. But the more I ride the harder it gets to pick a favorite. I just rode 108 and the fall colors were amazing. Riding around Joshua Tree was spiritually fulfilling. There is so much I haven’t seen on the road. 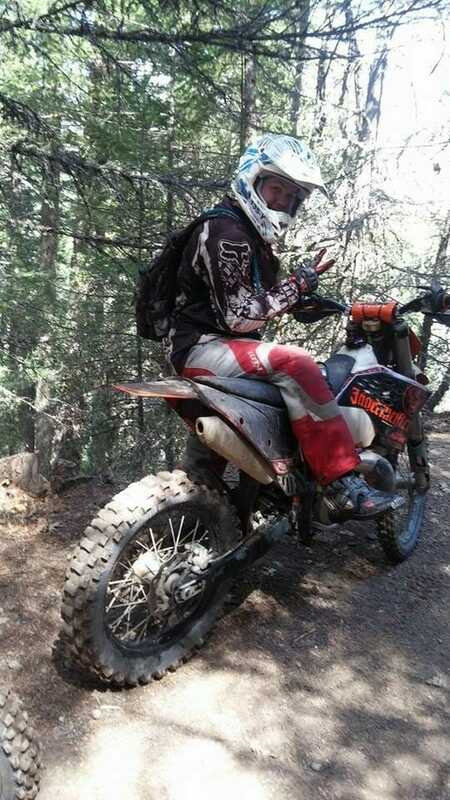 My favorite dirt bike trail is trail 37 in Pine Pines near Ukiah, but I love any trail I am on, rain or shine. Even in snow. Riding in fresh snow is really fun. SA Why do you ride or want to ride on 2-wheels? NS Besides the standard answers like freedom, space, peace and the views; riding is one of the only things that makes my body hurt less. 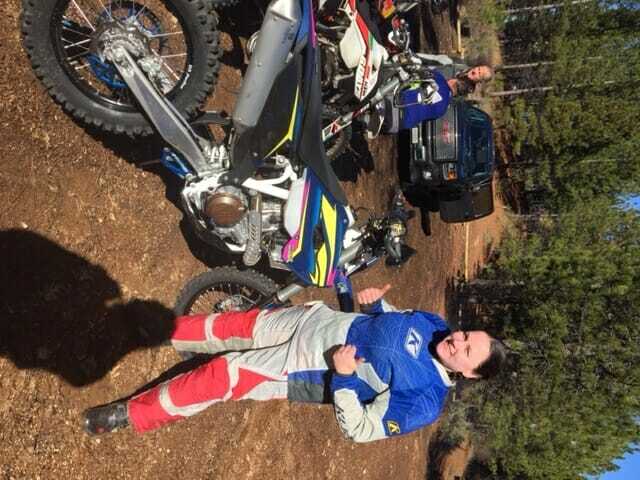 My ankle is fused and riding dirt bikes was the only thing that made it feel better. Even standing on a bike all day makes it better. I love the athletic skill it takes, the challenges and getting to see so many views my feet alone could never take me to. I also love feeling part of a community without having to do any thing besides ride to be part of it. SA Have you always been driven to explore adventurous activities? NS I have always been driven to do outdoor activities that require athletic skill. I grew up sailing and enjoyed sailing small racing boats. I love being on the bay or anywhere with a good view. I have always enjoyed getting into remote places and exploring. I think I got that from my mom. SA What would you like to see more of when it comes to the women’s riding world? 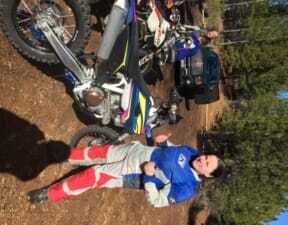 NS I would like to see more women on dual sport rides. I want to see more options for protective apparel. In dirt biking there is a lot of protective stuff for men but not much for women that actually fits and protects. It’s impossible to find upper body armour that fits with a neck brake and a large bust. SA What gets you out of bed in the morning? NS Knowing there are bikes out in the world I have never rode. My dogs. Well actually they keep me in bed. My boyfriend helps me get out of bed by reminding me how much better I feel after my Kaia Fit (all female work out) first thing in the morning. 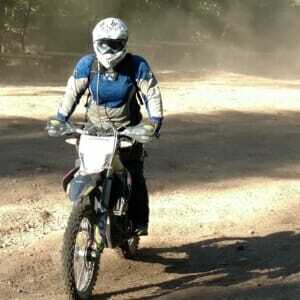 Knowing how much stronger I want to be for riding gets me moving. SA If you could ride anywhere next year, where would it be and why? NS I would ride around the USA or even the world. I want to ride as much dirt and remote road as possible. I love remote and challenging trails and roads. I just did my first street tour on my Tiger1050 camping at Babes Ride Out in Joshua Tree. After 1800+ miles in 5 days, I was ready to pack the bike up and head back out within hours of getting home. I just wish I could fit my 100lb yellow lab on the back. I would never come home. SA Do you personally operate or work at a women-owned/operated moto related website, blog, or business that you’d like to tell folks about? NS If I could tell women about how to connect with more women it would be Kaia Fit. Which is not motorcycle related but a fitness program for women. It changed my mental outlook for the better and helped my fitness immensely. Most of the time my physical strength can’t keep up with my skill and speed. I was able to compete in multiple races including the Virgina City Grad Prix only 8 weeks after pulling my hamstring because I had dedicated my self for the last 6 months to working out, but it was the Kaia Fit work outs and the women that made me so strong. All the women are so supportive. I love showing up for the hour workout and feeling like I rode all day. SA What was your worst day on a motorcycle? NS My worst day on a bike was recently. I was told it would be a “dualsport ride” so I took my FE501. It was a ride down the pavement onto a dusty dirt road and then down the hardest, rockiest trail that went over and under a dozen trees. It was 90+ degrees and I had not gone to Kaia Fit to work out in over a year due to depression. During that ride I was unable to pick my bike up. Which is abnormal for me. I promised myself between the wheezing when I get home I am going back to Kaia. NS I love beef jerky and cheeseburgers. Plus Knee Deep Brewing Beer. I know its not food but its caloric enough it should count. Plus my favorite homemade banana nut butterscotch muffins. Let me know if you want the recipe. SA What age did you learn to ride a motorcycle? NS I started on a TTR125L at age 15. By age 19 I was on a full sized dirt bike. I got my first street bike a SV650S at age 20. SA Funniest thing that ever happened to you while on a ride? NS There are so many to choose from. I had a lot of laughs following my friends riding to one of the largest junipers trees in the country in North Lake Tahoe. 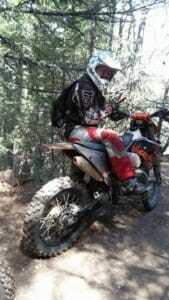 It was pretty muddy and we had 2 people on TW80s and 2 people XR100’s. It was like watching Mario kart. Full sized guys on little bikes spinning out left and right. NS A Lupulin River DIPA from Knee Deep Brewing. Or Natural Vitality Calm Magnesium drink if it was a really hard ride. SA Name 3 immediate things you would like to accomplish in the world of riding. 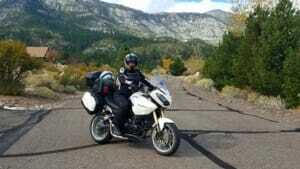 NS I want to put more miles on my Tiger1050 camping and riding. I want to see Moab, Utah. I would love to meet some of the ladies who I follow on Instagram in person. I would love a meet some of the women on this site. I want to find a place where I can help more women became self-sufficient skilled riders, but more importantly I want to help people believe in them selves on the trail. SA Name 3 long-term things you would like to accomplish in the world of riding. NS I would like to ride around the USA. I want to ride in Vietnam. I would like to encourage more women to dual sport ride. I see a lot of women getting into motocross and buying street or cruiser motorcycles. I want to see groups of women on the trail. I love being the first rider of my group. I like to keep my sensitive skin clean. When I pop out on an intersection most men are shocked when I am the leader. But I want it to not be a shock.